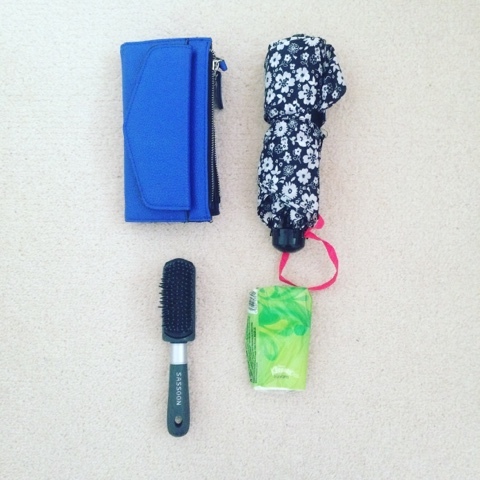 I have always loved reading blog posts and watching YouTube video's of 'what's in my bag'. I love all types of bags. I love seeing other people's and it is always interesting to see what people have inside. 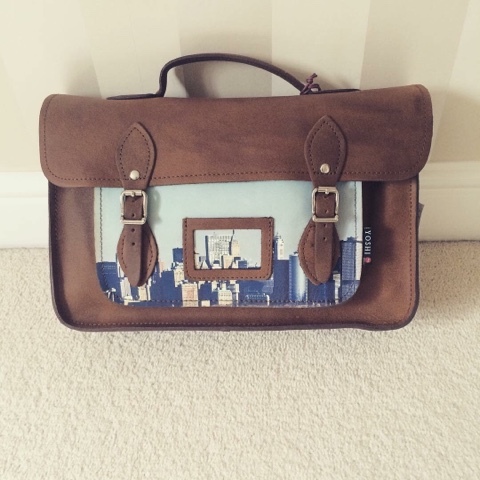 Over a month ago I was given such a lovely satchel that I wanted to share with you and decided it was the perfect opportunity to do a 'what's in my bag' blog post. I am pretty organised with the inside of my bag. I always take things out that I don't need or put things in the night before. If I have plenty of time in the morning I will also sort out my bag making sure I have everything I need for that day or week. Let's begin with the satchel. My lovely Auntie treated me to this satchel. I fell in love with it as soon as I saw it. It was from TK Max (which is unsual for me as I usually buy bags from Topshop) and actually really cheap than what it was. It was in the sale and it was the last one left. I actually have not used it yet I am waiting for Auturmn to come which will be here very soon! I know this is going to be a satchel that I am going to love and can use it all through Winter too! I tend to use bags for months and then I will change to a new one. This will be the perfect suede day to day satchel that will fit pretty much anything in! I'm a big fan of Topshop (who isn't)! Their accessorises are great. This was a giff and I have used it even since I got it. It is the perfect size for me and fits great in my satchel and any other handbag! It holds all my necessary items together and even has room to put old photos in. I always carry an umbrella around with me. You never know what the weather os going to be like in England. I bought this one from Next and it was not too expensive but pretty good value for a raining day. Tissues are great for anything even if you are not poorly! I always carry a hairbrush around with me; big or small. This is my favourite blusher. The colour goes well with my skin colour and hair. I also love the little bit of glitter in it too - h gives your cheeks a bit of shine. For £10:50 its a pretty great buy. I do not usually carry blusher in my bag as I fibd it stays out for the whole day! I do not use foundation. Whenever I tell people that they always find it strange! I do not get a lot of spots so I find concealer and powder is a great thing to use. The powder makes my concealer last for the whole day so I do not usually need to re apply. This is the second pink plaid matte lipstick that I have. I had to rebuy it when the other one ran out. It looks great on my lips; I love pink lipsticks! It is a definite favourite of mine that is a bag necessary! You have to have a lipstick in your bag not just to add colour but incase you have had food/drink and you have to re apply. I always carry two lipsticks with me. Whether its two of the same shade or different. This topshop lipstick is a lovely light pink and looks great. It lasts a long time and you do not need to re apply much. I love how it keeps your lips from not getting dry. 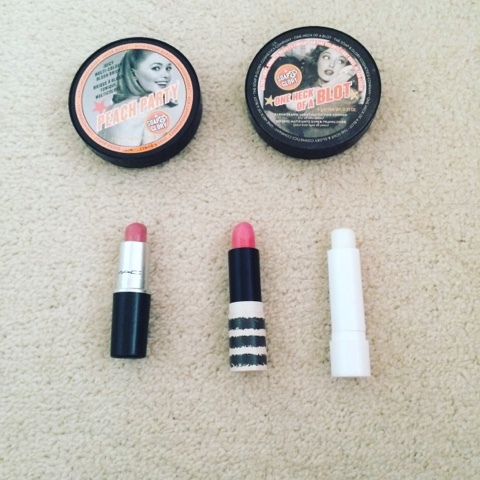 For the those days when your lips need some tlc! I always have my case in my bag when the suns out. Stops my sunnies from getting stratched and marked. Love these sunglasses, they are the perfect shape and look great. I got two for £10. It was a great price! They came with my Iphone and always have them in my bag. I'd be lost without them! Incase of any hair emergencies! Essential part of everything. I always need them! 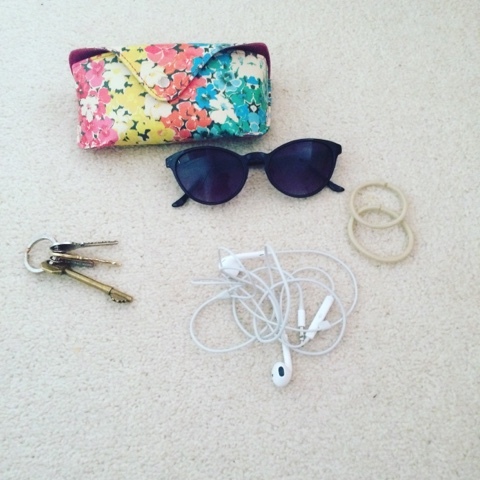 I hope you all enjoyed my first 'what's in my bag'. My blog has now been claimed to my blog lovin account! This means you can now keep up to date with all my blog posts! Feel free to leave comments I'd love to hear from you all!